You'll Discover How Easy It Is To Build A Simple Set Of Stairs In Just A Few Hours. Think About It...You Could Be Building Your Stairs Today. Another Incredible Book, by Greg Vanden Berge. 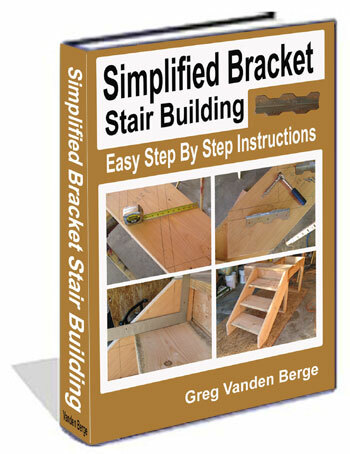 You'll Discover How Easy It Is To Build A Simple Set Of Bracket Stairs In Just A Few Hours. Think About It...You Could Be Building Your Stairs Today. Another Incredible Book, by Greg Vanden Berge. 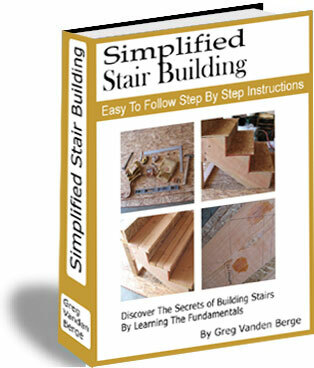 This popular stair building book can be downloaded and delivered to your computer today. Created from one of America's master stair builders with easy to follow instructions.